If you’re a serious gamer or just somebody who likes old school setups of modern day technology, then you’re probably familiar with mechanical keyboards. They’re extremely popular in gaming because they’re often made with higher quality materials and can type more accurately and quickly than the modern-day rubber dome keyboards. Mechanical keyboards offer a true tactile response and although sometimes they can be quite loud, they can be worth the added accuracy and speed if you need it – which you probably do if you’re gaming often. They can also be useful if you just do a lot of typing for school or your work. But no matter what the reason is, if you want to be able to type more swiftly and precisely, you’ll want the best mechanical keyboard. We also have another guide dedicated to gaming keyboards, which includes both mechanical, membrane and hybrid gaming keyboards. Take a look at a list of all the keyboards and a couple important features, before we get into some more info about mechanical keyboards and the individual product reviews. Another great feature about mechanical keyboards is that they often last much much longer than your standard keyboard as well. It also just has that classic keyboard feel and will remind you of the keyboards back in the day, or even if a typewriter if you can remember that far back. Of course, there are a bunch of different types of mechanical keyboards out there in varying price ranges. We’ll include keyboards that from all over the spectrum so you can choose what’s best for you depending on your budget. So what are you waiting for? Most mechnical keyboards are actually pretty cool and have nifty backlit options. Take a look at our list and find the best mechanical keyboard that suits you! Now that you have an idea of what you’ll be looking at, let’s get into each individual product review. The very first keyboard that we have up is from JAR-OWL and features a really cool gold design that we absolutely love. 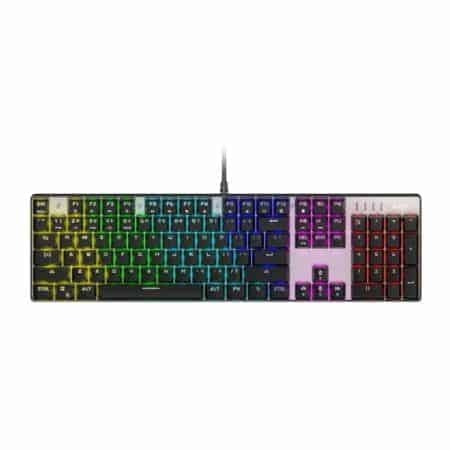 This keyboard features 104 different keys including 19 non-conflict keys so you can set this up to work exactly how you need it to. These keys are extremely durable and each one can withstand up to 60 million keystrokes – that’s a lot of gaming. 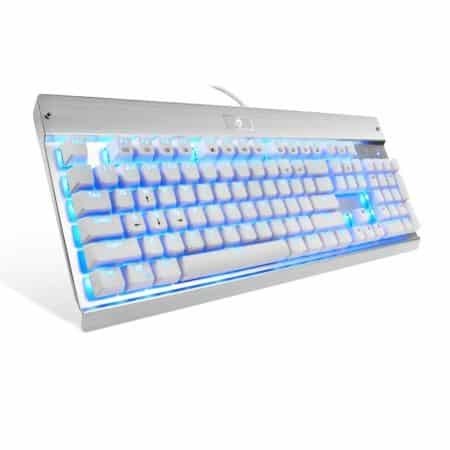 This keyboard is, of course, backlit as well and while it looks a bit dull in the daylight, it will really illuminate your room at night. This kind of comes with the territory but we think it’s worth mentioning with this keyboard that it’s a bit louder than most, even for a mechanical keyboard. JAR-OWL also includes a dust cover which will help to extend the life of your keyboard by keeping the dust from getting into the pressing mechanism. There’s also a wearable TPF rubber pad to make sure that they keyboard doesn’t slide and also so that it won’t scratch your desk. This is a decent keyboard overall and looks different than its competitors with its gold design. And for under $50, it’s really hard to beat the quality at this price point. Even if you’ve never heard of JAR-OWL, we recommend giving them a shot. 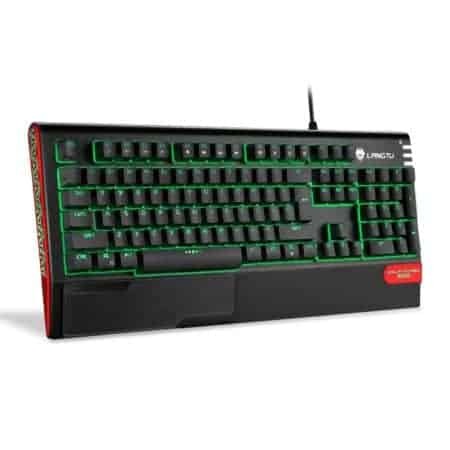 Langtu has provided us a decent mechanical keyboard at another decent price that is designed specifically for gaming. While most mechanical keyboards are better for gaming in general, this one has a couple of small features that give it that extra edge. First of all, it has gaming grade circuitry with 104 keys and 25 that are anti-ghosting. That’s a bit higher than most on our list, giving you even more versatility than with other keyboards. They keys are also specifically designed to effectively reduce hand fatigue and will feel more comfortable over long periods of time. The keycaps are also fully removable and are actually easy to remove. This, of course, makes it that much easier to clean or replace the keycaps with something else if you so desire – or if they crack, etc. It also includes plenty of FN shortcuts that lets you access a variety of items without exiting your game. Langtu also offers a one year warranty so you don’t have much to worry about purchasing the X1000. This is a pretty cool-looking keyboard if you ask us. This is a 104 key anti-ghosting keyboard and offers a true mechanical feel. 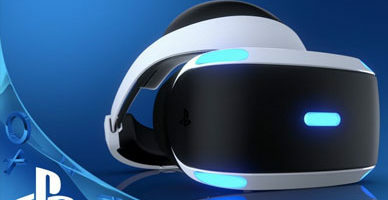 It provides a truly immersive, colorful experience whether you’re gaming or whether you’re just typing. Of course with a mechanical keyboard, that means individual switches which mean you’re getting accurate and responsive key commands no matter what scenario you’re using this keyboard in. It comes with 10 preset LED lighting effects, seven colors, and five customizable gaming lighting effects. No matter what you want – you can get it from this keyboard. There’s also adjustable brightness and LED effect speed which you don’t always find in a keyboard so it’s nice AUKEY includes it. Worried about the quality of the keyboard you’re buying and are also looking for a good warranty as well? You can trust AUKEY on that front. They actually provide you with a physical 24-month warranty card so you know they stand behind their product and that you can really trust them. This is a solid choice for a mechanical keyboard at a bit of a higher price point, but we think it’s worth the few extra dollars. Up next is another backlit mechanical keyboard that is super durable and gives you all the benefits of mechanical keyboards. This one is particularly durable and is even splash-proof! Imagine that. If you’re on the clumsier side, this will save you a lot of trouble later on down the road. It features 87 non-conflict keys as well as 12 multimedia keys. This is seriously built like a tank and is truly over-engineered, in a good way of course that makes it super durable and splash-proof. 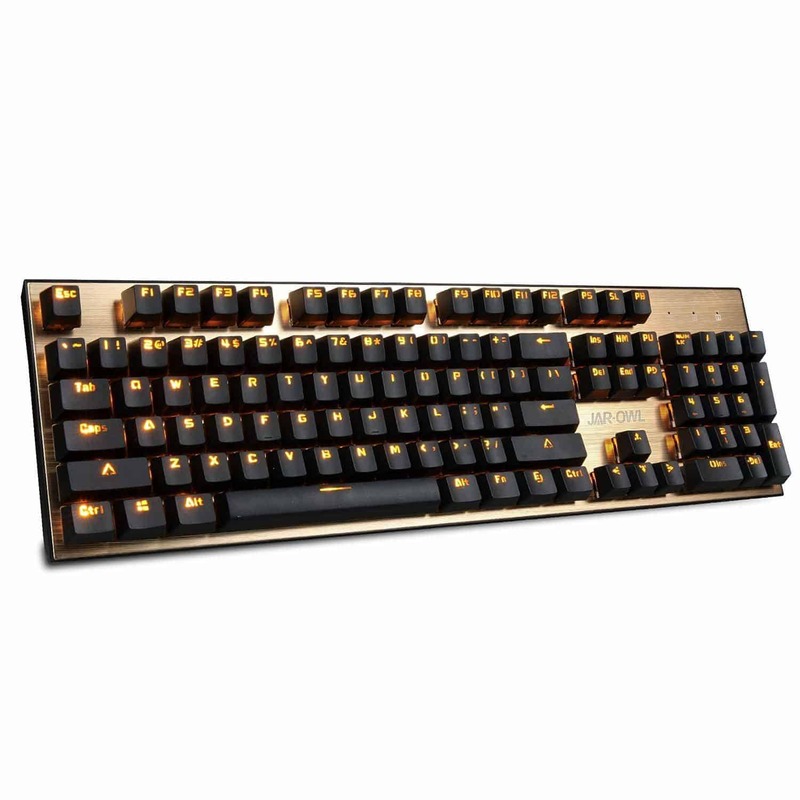 It is designed for longevity and longevity is what you will get with this Redragon K552. You’re also able to adjust the red backlight for brightness, breathing effect, or just turn it off completely if you’re trying to be discreet and not disturb your roommate/lover/parents. Redragon is a well-known brand when it comes to keyboards and it’s hard not to keep coming back to them. They’re just known for providing high-quality tech products at a perfectly reasonable price and the Redragon K552 is certainly no exception. If you’ve had a Redragon product before, then this is the same quality that you’re used to. If you haven’t, we highly recommend this and think it’ll be the perfect introduction. We have to admit, we’re a sucker for these colorful, programmable backlit keyboards. They might not be exactly what you want all the time, but they add another dimension especially when you’re gaming. This one features six different colors with nine different illuminated modes – and you can even customize for intensity. This keyboard is also completely anti-ghosting with each switch being completely independent so you can press as many keys as you want without worry. The bottom of the keyboard, of course, has two rubber feet and two flip-up feet for ultimate durability. This keyboard makes it super easy to game in the dark and will create a much more immersive experience than using a typical keyboard. It’s not quite as loud as some of the other mechanical keyboards out there which is another selling point. It’s also super compact and lightweight at only 1.8 pounds so it won’t take up much room on your desk. While it is lightweight, it still feels durable and heavy-duty. We’re seriously impressed with the Hcman Mechanical Gaming Keyboard and are confident you will be too. We love the EagleTec KG010 for a couple different reasons but the main one being its versatility. 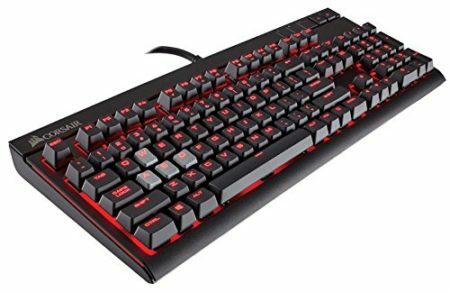 This keyboard is great for gaming as well as if you just have a lot of things to type or if you need a new keyboard for your office. Whatever the reason, this keyboard can work for you. It has blue LED adjustable lighting and is just enough to make it interesting but isn’t anything that’s too crazy or distracting. Also as our title suggests, it’s much quieter than most other mechanical keyboards. Notice we said compared to other mechanical keyboards – it still makes a distinctive noise but nearly as loud as a lot of other ones on the market. This is a 104-key keyboard so it features a full numeric keypad. The keys on the EagleTec KG010 are also splash-proof which we almost see as a necessity these days. It’s so common to spill at least a little something on your keyboard these days so it’s helpful when they can resist at least a little bit of a “splash”. Of course, this also features adjustable rear feet so you can get the most comfortable angle for those long gaming sessions. 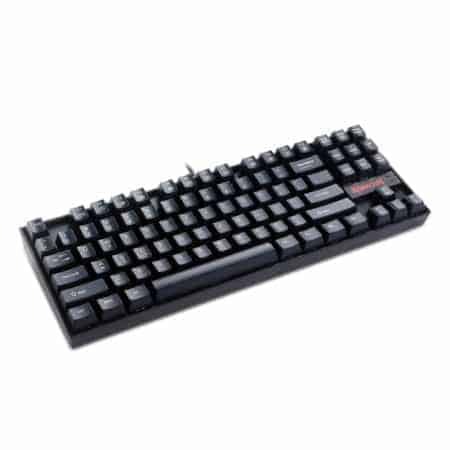 EagleTec provides a quality keyboard at an equally quality price. Give it a shot, you won’t be disappointed. If you know anything about mechanical keyboards then you have most likely heard of Corsair. They are a trusted name when it comes to mechanical keyboards (and now gaming chairs as well), and while they are admittedly usually a bit pricier than a lot of their competitors, you can usually feel the difference when you use it. This definitely provides you with gaming grade circuitry with 100% anti-ghosting guarantee that is able to keep up with your gameplay no matter how fast you go – all your keys will always register. Corsair also provides super easy access to all your multimedia controls so you can efficiently adjust your volume on the fly. This was built by professionals in Germany and features Cherry MX Red Key switches that will give you a competitive advantage. The red backlighting looks sharp in any room and allows your virtually unlimited lighting adjustability. It comes with six presets or you can craft your own if you so desire. There’s also endless programmability so you can reassign any key or set up the craziest of macros for ultimate gaming control. Expensive? Yes. Worth the money? Also yes. You won’t regret purchasing this Corsair mechanical keyboard. This design is much different than a lot of the other designs we’ve seen on this list. Most noticeably, the EagleTec KG011 features a white and silver design as opposed to the all-black design that we’re used to seeing with mechanical keyboards. And we have to admit – the bright blue LED lights look pretty sharp against the white keyboard. 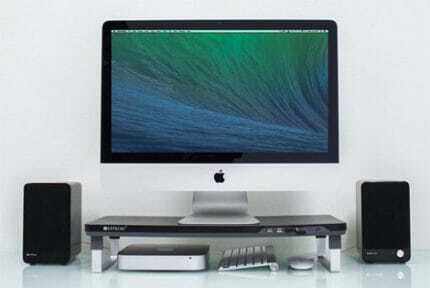 With the white design, this is something that’s maybe suited more for a home office environment. It might end up getting a little dirty if you’re eating/drinking around it all the time. The KG011 provides tactile response, longevity, and durability. There’s also a full numeric keypad and splash-proof keys! We are loving the trend of having splash-proof keyboards. This is designed to be able to withstand the average liquid spill so no worries there. This keyboard can truly take a beating and is one of our favorites on the list. If you’re looking for a less harsh design or just for something that will lighten up your room then the EagleTec KG011 is your keyboard. It still functions as well as all the other mechanical keyboards but doesn’t have that heavy black/red lighting. Overall a great-looking keyboard that functions even better. 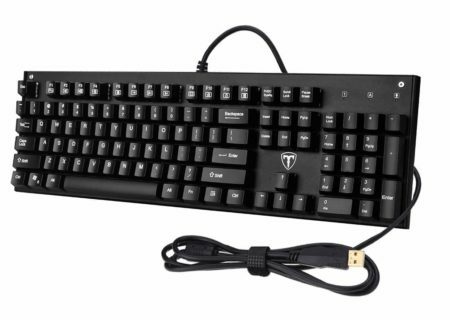 This is a solid gaming keyboard that is heavy-duty and durable. The keys are impact resistant but also lightweight while remaining durable. The keys feature a lifespan of about 50 million operations. This isn’t necessarily the highest on our list, but it’s pretty decent especially given the price (under $50 at the time that this article was written). Velocifire also has created a keyboard that is definitely on the quieter end of the spectrum compared to a lot of other mechanical keyboards. This makes it perfect for office environments and truly can be used in an office environment without disturbing your cubicle neighbors. Another great benefit of this keyboard? It just plain feels good to type on! It’s super comfortable and will reduce typing fatigue if you spend a lot of hours typing away on your keyboard – gaming or otherwise. VelociFire is definitely a lesser-known brand in the world of mechanical keyboards but if you aren’t completely sold on the idea yet and are looking for an affordable way to check out what mechanical keyboards are all about, go with the Velocifire VM01. As we mentioned, Corsair is an industry leader when it comes to mechanical keyboards so it only makes sense that we include a couple of their keyboards on our list. Their K70 keyboard is definitely at the top of their line of keyboards both when it comes to quality and price. However, we strongly believe it’s worth every penny. This baby features an aircraft-grade anodized brushed aluminum frame that provides superior durability that you will be hard-pressed to find anywhere else. There’s also advanced lighting control and large font keycaps that provide dynamic, vibrant backlighting. There’s also CUE support that enables advanced macro and lighting programming that will allow for virtually unlimited game customization. This keyboard also features a detachable soft-touch wrist rest for ultimate comfort while you’re using. If you have the money, this truly is one of the best keyboards that money can be. You will definitely have the competitive edge over anyone you game against and will have the power of Corsair behind you. This keyboard is definitely expensive but it is also definitely worth every single penny. Up next is a truly beautiful mechanical keyboard from magicelec. 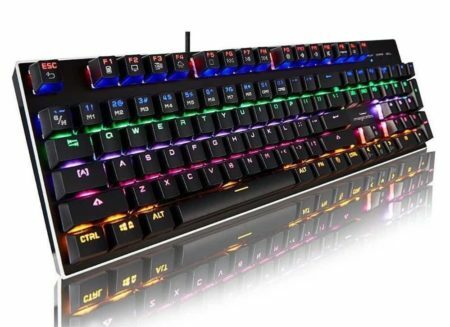 This mechanical keyboard truly can display every color of the rainbow. It comes with nine preset LED gaming lighting effects but every single row has seven different color options. You can also adjust the brightness as well as the LED effect speed. This will provide a truly immersive gaming experience no matter what preset you choose and will help to keep you alert and focused during those long late-night gaming sessions. These keys are also made to withstand up to 60 million clicks – not too shabby for a keyboard that will cost you right around $50, at the time of this article anyway. This keyboard isn’t too loud or clunky and won’t disturb others around you… too much anyway. All in all, this is just a really cool looking keyboard. The lights are much more customizable than a lot of the other lights we’ve seen on mechanical keyboards but you still get pretty decent performance out of it. This may be another lesser known brand in the mechanical keyboard world but this keyboard still delivers. Redragon graces our list of the best mechanical keyboards again with their K552-N. This time around we have a 100% conflict-free 87 key keyboard on our hands. It also features 12 multimedia keys and you guessed it – a splash-proof design! What’s better than a keyboard that can resist you spilling your drink on your keyboard? Literally nothing. This is something that could’ve saved a lot of people a lot of money on multiple occasions. This keyboard is completely over-engineered and can withstand whatever beating you put it through. Accidentally lose your game and threw your keyboard across the room as a result of your uncontrolled temper? Not to worry! Plug her back in and you’ll be good to go. Is this the fanciest keyboard on the market? Not necessarily. Is this a keyboard that can withstand a bit of a beating, is very tactile and responds to every single tap with uncanny speed? Yes. 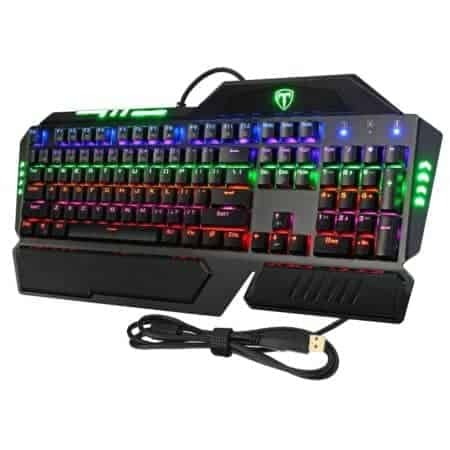 This is a solid mechanical keyboard and it can easily compete against any other mechanical gaming keyboard in its price range. For the money, this one will be tough to beat. 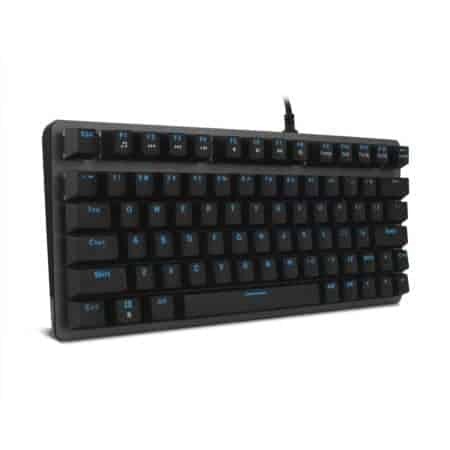 If you’re looking for a sleek and stylish gaming experience on a mechanical keyboard, then you should stop your search right now and purchase the HAVIT Backlit Wired Gaming Keyboard. This is ultra-thin, ultra-light, and super compact. This is much lighter and thinner than any traditional keyboard out there on the market today. 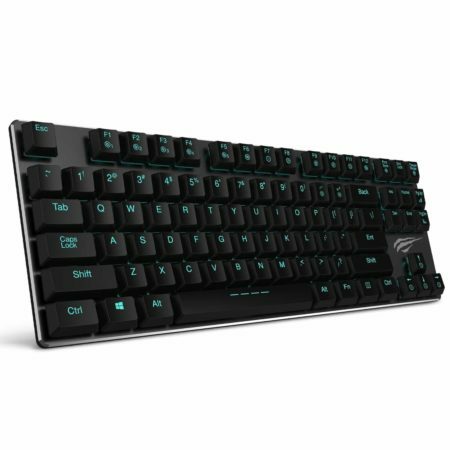 It features a unique ice blue LED light that we haven’t seen in many other mechanical keyboards, especially on this list. This is an 87-key keyboard that is completely conflict-free so you don’t have to worry while you’re gaming. There are multiple backlight modes that you can choose from, as well. This keyboard will definitely improve your typing speed and make you more tactile with your gaming as well. The fact that they keyboard is super thin isn’t just a great design aspect, it makes it so your fingers don’t have to travel as far thus increasing your speed and agility. We love the design of this keyboard and we love how it performs. It is definitely on the higher end of the price spectrum, especially when compared to some others on this list, but for the design aspect alone – we think this keyboard is easily worth the money. Logitech is easily one of the most trusted brands when it comes to keyboards. They of course not only make mechanical keyboards but modern ones as well. In addition to keyboards, they make a wide range of other computer-related accessories. Think mice, keyboards, accessories, and even monitors. 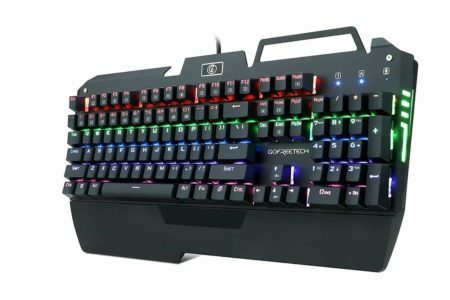 They are no stranger to the computer accessories market so when we found their mechanical keyboard, we had to look at it – and it does not disappoint. This features customizable lighting where you can actually personalize individual key lighting brightness to easily keep a record of commands, spells, etc. in your favorite games. There’s also media controls that are very easy to access on this mechanical keyboard. 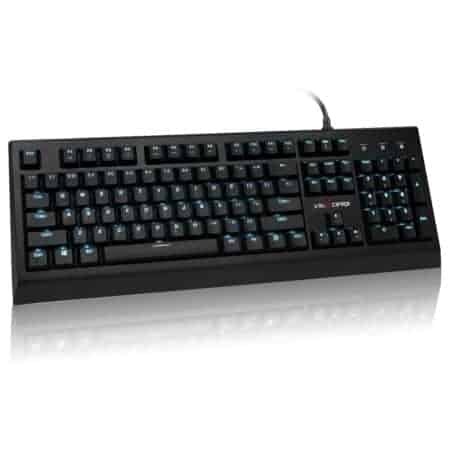 The keys also use Cherry MX Mechanical key switches and you’ll be able to feel the difference. Logitech also features their own gaming software so you can customize your F1-F12 keys with macros for your favorite game. This is a slightly pricier keyboard and will run you around $100 (at the time that we published this article). 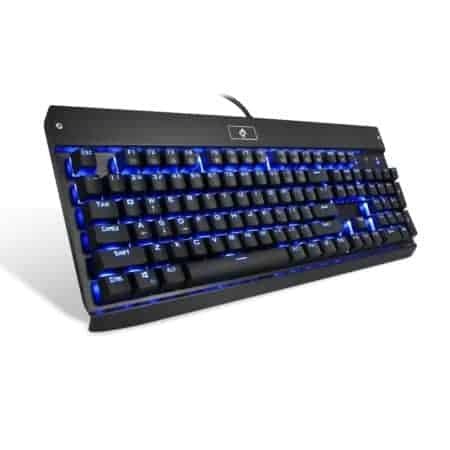 However, it’s also a much quieter keyboard, provides completely customizable lighting, and provides one of the fastest responses out of a lot of the mechanical keyboards on the market. Like all the other pricey mechanical keyboards on our list, this one is definitely worth the money. A lot of people really underestimate the power of having a good ergonomic keyboard. Having that support for your wrists can really make the difference between you being able to play for three hours or six hours. Pictek includes a palm and wrist rest that makes it much more comfortable to use for hours on end. Of course, this keyboard allows you to press as many keys as you need at the same time without any interference. It’s also water and dust proof. It actually includes five drain holes so if anything goes awry – this will quickly dry up protecting your keyboard from any serious damage. 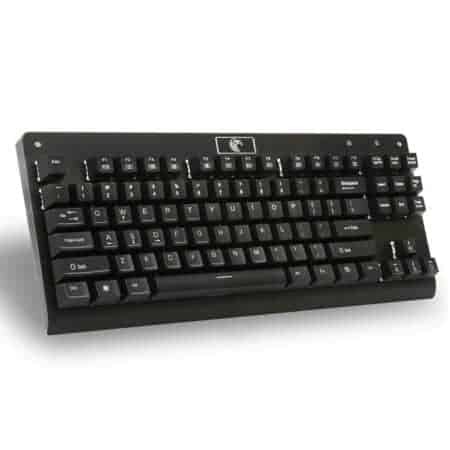 This is a very sturdy keyboard as well and will last for as long as you need. It can withstand 50 million keystrokes at 60 (+/- 15) grams of pressure. It is also super easy to type in the dark with nine different backlight effects in six different colors. There are multimedia keys that give you quick access to media, volume, calculator, and key lock. This is the perfect mid-range gaming keyboard. It’s not bottom-of-the-barrel cheap but it’s also not ridiculously expensive either. It’s the perfect mix of quality and price. Pictek has really impressed us and we know you’ll be impressed as well. Perhaps you don’t love all the crazy lights or bells and whistles that come with a lot of these keyboards. 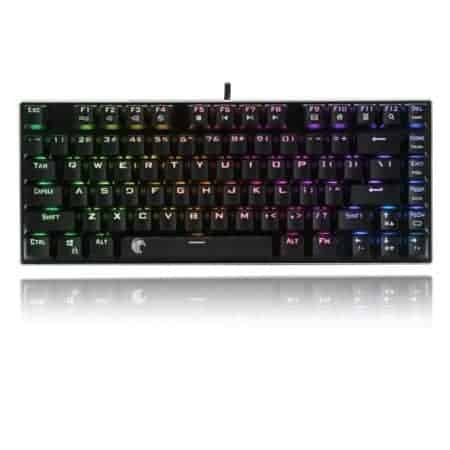 This is an 87-key keyboard but has 25 keys that allow for anti-ghosting for fast gaming. They keys have been tested to withstand over 50 million keystrokes which is about industry average for mechanical keyboards. It’s also ergonomically designed with the stepped keycap that makes it sleek along with an arc to easily fit your hand to reduce fatigue so you can game (or type!) for hours to come. This keyboard, in particular, gives a very satisfying click sound – even more satisfying than a lot of the other mechanical keyboards we’ve come across. It uses blue switches which tend to be a bit louder than some of the others but that’s what gives it that super satisfying click feel. If you’re looking for a good intro keyboard to get into (or back into) mechanical keyboards and don’t want to spend a lot of money for a lot of extra features you won’t use, then definitely consider the MechanicalEagle Z-77. It truly is a simple but durable piece of machinery. If the last keyboard was the simplest mechanical keyboard you could purchase then this one is its polar opposite. It truly has every single bell and every single whistle. Firstly, it features mechanical blue switches that give you high-speed haptic feedback and a barely audible click sound. This one is also ergonomically designed with a palm and wrist rest and suspended keycaps that allow you to type for hours without any fatigue. 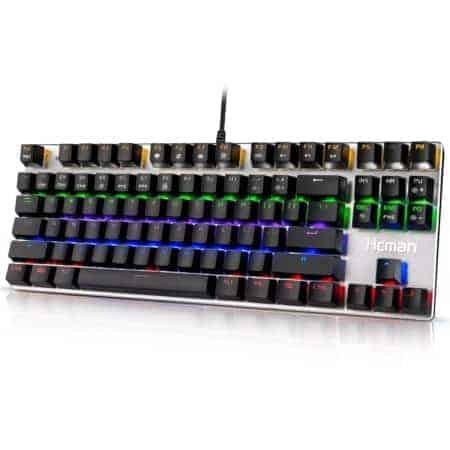 This KrBn keyboard also features a multi-color LED backlight with nine stunning backlight patterns and eight game lighting modes. KrBn also includes a free keycap puller to help when you need to clean or replace any of the keys. And to help you just in case anything goes wrong, they actually include three spare switches. If you’re looking for something a bit quieter then this is definitely your machine. This is virtually silent in comparison to any other mechanical keyboard out there without compromising on the quality. There are also four drain holes in this keyboard to help just in case you ever spill anything on here. 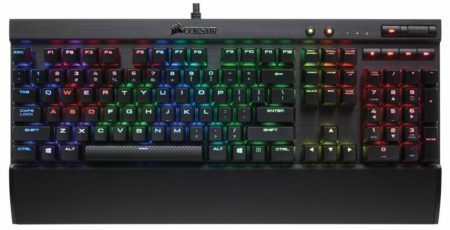 Razer, like Corsair, is another well-known name when it comes to mechanical keyboards – especially mechanical gaming keyboards. Razer uses an orange switch designed specifically for gaming. It’s not named ‘Ultimate Stealth’ for no reason either. These keys are virtually silent while still giving you that tactile response that you’ve come to know and love in a mechanical keyboard. Seriously – this is one of the quietest if not the quietest mechanical keyboard we’ve come across (with the previous KrBn coming in a close second). This is meant for gaming but can easily be used in an office environment or is perfect if you’re trying to game but also have a roommate. 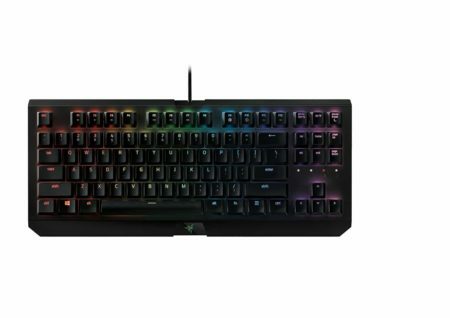 Razer also includes Razer Synapse which is their software that allows you to customize keys, set up profiles, create macros, adjust brightness, and also keep track of your keyboard’s use. We love this keyboard and it has definitely risen to the top of our list for the best mechanical keyboard. It will easily give you a competitive advantage over your opponents while gaming or if you’re just a serious typist, it will dramatically increase your WPM. Either way – the Razer BlackWidow Ultimate Stealth definitely exceeded our expectations. A lot of times mechanical keyboards, especially those set up for gaming, are not very compact or transportable at all. They assume that you’ll be gaming in one place forever or that you have infinite desktop space. This isn’t always, or even usually the case. If you have limited desktop space or often bring your own keyboard to gaming events then you’re going to want something a bit more compact. Cue the lights for the Corsair Vengeance K65. 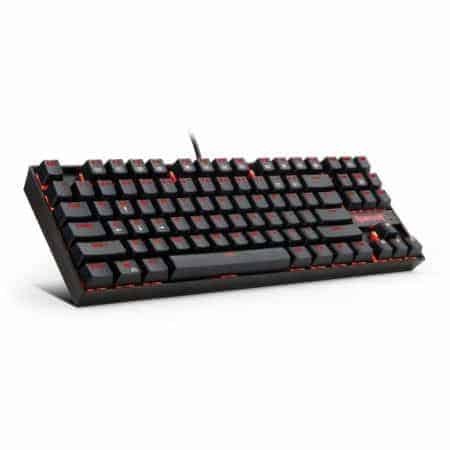 This extremely compact keyboard features red mechanical switches and brushed gunmetal anodized aluminum for a professional-grade look and the durability you need for both transporting and long hours of gaming. As you can expect from Corsair, the Vengeance K65 features full key matrix anti-ghosting so you don’t have to be careful whatsoever during gameplay. One thing to note is that it is a bit louder than some other mechanical keyboards but that kind of comes with the territory when you’re looking for a decent mechanical keyboard. Although this isn’t always the case and if you’re looking for something silent, check out the last two reviews. Since this is a Corsair, its price tag is definitely a bit higher but since it is a Corsair, that higher price tag is worth every single penny. Razer really gives Corsair a run for their money and depending on what your exact needs are, they might even be a better all-around keyboard for you. This one features Razer green switches with tactile bump and an audible click for a streamlined and efficient gaming experience. And when we say, ‘ultimate longevity’, we really mean it. 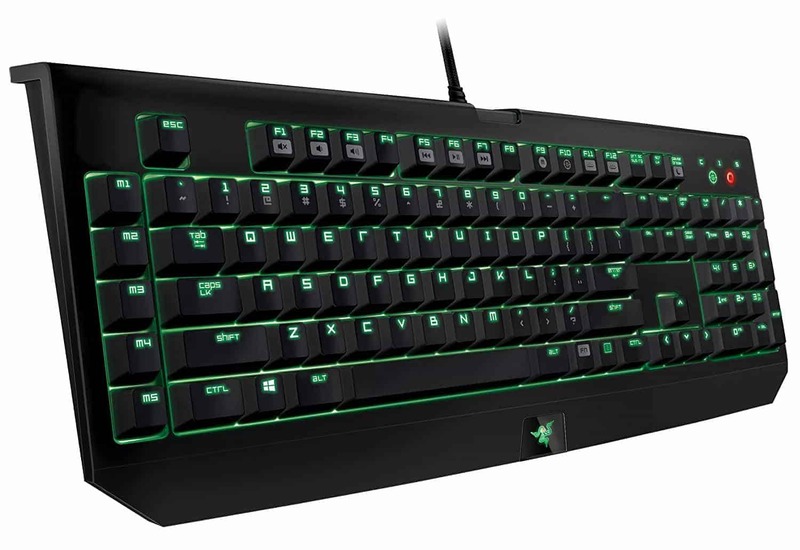 The Razer BlackWidow X Tournament Edition is designed to last up to 80 million keystrokes. That’s right, you read that correctly – 80 million keystrokes. That’s 60% more than the industry average of 50 million keystrokes. This may cost a bit more than the average keyboard, but that’s because it’ll last much much longer than your average keyboard. Each key’s backlight is individually programmable ultimately giving you 16.8 million color options. Of course, you’ll get access to Razer Synapse which is where all the programming magic happens for each of the keys allowing you to give yourself the competitive advantage no matter what or where you’re playing. At the time we published this article, this keyboard will run you somewhere around $100, but we firmly believe it’s worth every penny. Up next is a great introductory mechanical keyboard. This is compact, ergonomically designed, and features a sleek icy blue backlit display. There are 78 anti-ghosting keys as well as access to 12 multimedia keys to give you access to whatever you need while gaming. 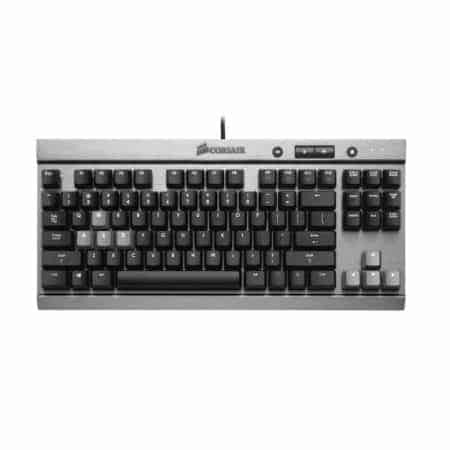 This Velocifire keyboard uses Outemu brown switches which are just that much quieter than a lot of the other switches so this could potentially be used in an office environment – depending on how crazy your office is because they are still a bit loud. The backlight can be adjusted into five different modes, gradual, breathing, etc. It’s perfect to use in the dark if you need to but can also be turned off completely if you want to just have a plain black keyboard that’s fitting for office use. Velocifire also includes a 12-month warranty and for a keyboard that’s under $30, that’s really not too shabby. All in all, this is a small but durable and versatile keyboard at a perfectly reasonable price that will suit all your needs. 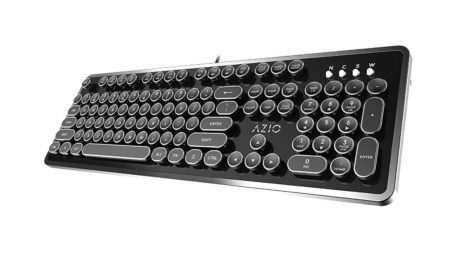 Okay if we had to choose the best mechanical keyboard off of design alone, then we would have to pick the Azio Mk Retro hands down. It features chrome plated body and keycaps and is reminiscent of an actual typewriter. It comes in a bunch of different colors, although we’re in love with the piano-black top plate. This clearly isn’t the best keyboard for gaming but it still offers all the same benefits of a mechanical keyboard. If you’re writing the next best novel or are just an avid typist, then this is definitely the keyboard for you. The Azio Mk Retro makes sure the travel distance between each key is precisely what it should be for optimal speed. We also are in love with the round keycaps and they actually feel really nice on your fingertips when you’re typing. This is a bit pricier but if you’re looking for something stylish, then this is the perfect keyboard for you. It’s not optimized for insane speed like a lot of the more advanced mechanical gaming keyboards, but it will definitely improve your average typing speed while adding to the aesthetic of any office or desk. We wanted to make sure that we include a few of the more compact keyboards on the market and the E-Element Z-88 is a super competitive compact mechanical keyboard. We love the design as well as the large lettering on the keys that make it easy to use. It features 81 anti-ghosting keys and also includes five spare switches for replacement in case anything goes wrong later on down the line. And to help you with the replacement, both a keycap and switch puller are included. This E-Element features blue switches that provide you with a clicky and tactile feel. With fewer keys, this keyboard feels much more manageable and easier to control than a lot of the other bulkier ones. The Z-88 is also completely waterproof so no need to worry about any of those inevitable spills. This is a decently-priced, compact mechanical keyboard that really delivers on its promises. You also get a 30-day money back guarantee as well as a 12-month warranty so no need to worry with this purchase. Mechanical keyboards are known for being exceptionally loud so we’ve actually been a bit surprised at all the really quiet keyboards out there. Most are technically suited for gaming but any of the quieter mechanical keyboards are also perfectly suited for the office if you need to do a lot of typing. 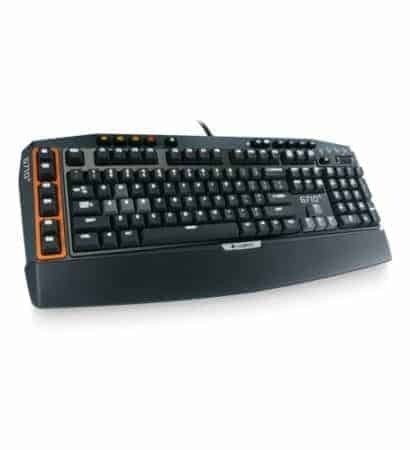 This Logitech mechanical keyboard, however, includes a lot of features specific to gaming. For instance, there are six programmable G-Keys that you can put up to three macros per key on for a total of 18 unique functions. These keys are seriously whisper-quiet and have dampening rings underneath each key. There are four different levels of adjustable lighting you can have as the backlight as well. Each key is designed to withstand 50 million keystrokes which as we’ve mentioned, is about average for mechanical keyboards. There’s also a removable palm and wrist rest so you’ll be comfortable for hours, if not days of gaming. 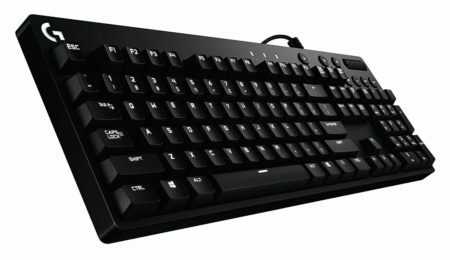 You’ll seriously love the Logitech mechanical keyboard so why not give the G710+ a go? Rounding off our list is the VisTsing Mechanical Gaming Keyboard. This is another keyboard that gives you a nice mix of value and quality. It’s under $50 but still provides you with a great experience. It features 104 anti-ghosting keys and actually an option to purchase an 87-key version for a little bit less. Each key can withstand 50 million keystrokes and this little guy comes with a 12-month warranty as well as lifetime support should anything go wrong or if you have any questions. This is a good introduction to mechanical keyboards that’s perfect gaming or if you just want to improve your typing speed. Mechanical keyboards definitely seem more intimidating than they actually are. If you really think about it, this is the original design of the keyboard! Back in the day mechanical keyboards just used to be called ‘keyboards’, so they really are not that complicated. However, there are still a couple of things that you should be on the lookout for. This is the primary reason that people purchase mechanical keyboards – so they don’t interfere with each other and so that your computer will recognize every key that you press even if you press multiple ones at the same time. This is otherwise known as anti-ghosting. If you’re gaming, you may only need a few to be anti-ghosting but if you’re using it primarily for typing, you might want all of them to be. Here’s a quick video about anti-ghosting keys that can perhaps help you understand the term better. The average lifespan for keys on mechanical keyboards is about 50 million keystrokes, however, with more expensive models this can get up to 80 million keystrokes. So it’s really up to you whether or not you want to spend a little extra money up front and get a longer life, or go for cheaper but might have to replace it sooner. Mechanical keyboards are notoriously loud, however, they do make quite a few nowadays that are virtually silent. If you’re gaming alone and don’t really mind the noise, then no biggy. But if you’re going to be using this in an office environment or around a lot of other people, consider looking out for one that’s a bit quieter. For a quick comparison of keyboard clicking sounds, be sure to watch the video below. As with any best products list, there can only be one winner. We’ve seen a lot of great mechanical keyboards. Some perfect for gaming, some great for typing, and some that are a nice hybrid of both. Of course, which mechanical keyboard you purchase is going to entirely depend on what you need it for but there is definitely one that stood out as a nice balance between both worlds. The best mechanical keyboard for 2019 has to go to the Razer BlackWidow Ultimate Stealth. We love it for a few different reasons. First, it’s the perfect balance between a gaming keyboard but is still functional for everyday use. There are definitely enough gaming features to satisfy even the more serious of gamers but it’s also silent! This is essential if you’re going to be using a mechanical keyboard around other human beings. The Razer BlackWidow Ultimate Stealth is the perfect versatile keyboard and is a perfect balance for everybody. Thank you for reading and we hope that this helped you choose the perfect mechanical keyboard! Happy typing!